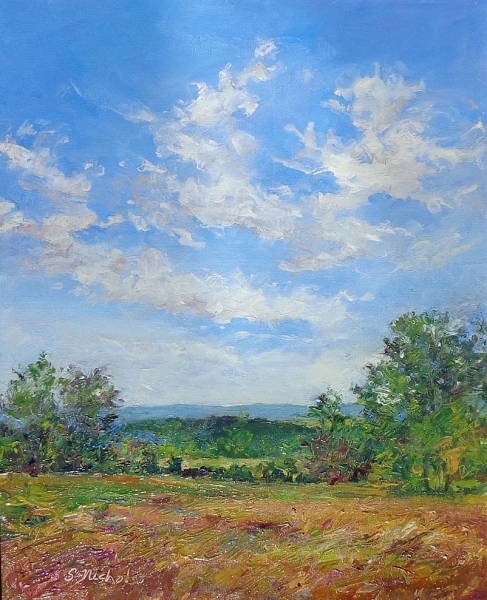 Influenced by her artist father, Susan Nicholas Gephart developed a deep appreciation of the earth and its relationship to art when she was a young child. Her passion to explore the landscape is expressed through a unique use of color, texture, and atmosphere, capturing the emotion of a moment with spontaneity and directness. Susan is a 1979 Bachelor of Fine Arts graduate of the Pennsylvania State University, and a 1977 Associate in Arts graduate from Montgomery County Community College. In 2007, Susan was inducted into the MCCC Alumni Hall of Fame, and then selected as one of 50 Outstanding Alumni in 2014. 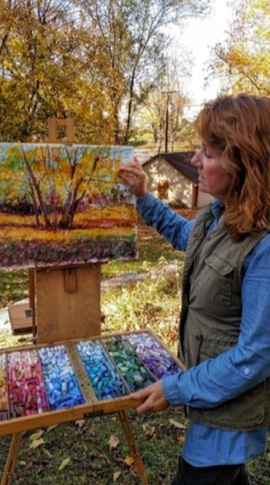 She has been exhibiting and painting award-winning landscapes for over forty years and balanced raising three children while pursuing an art career. 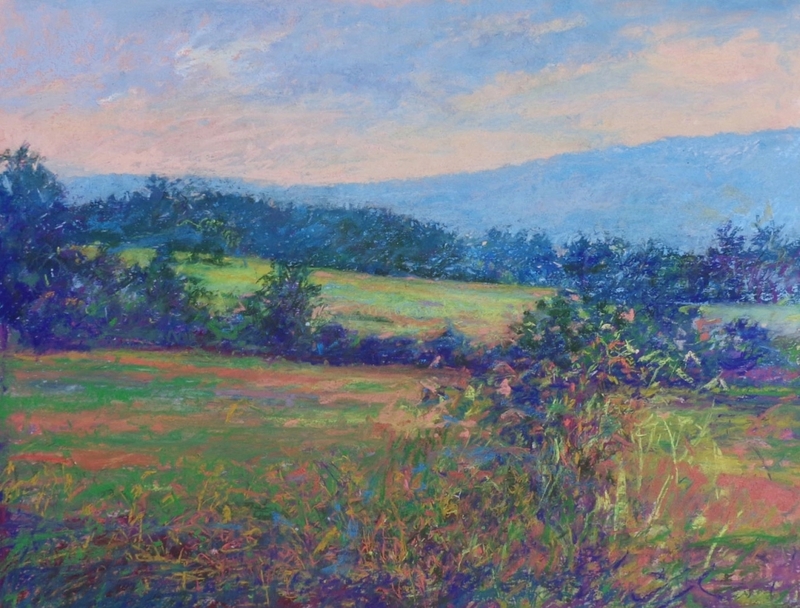 Susan’s colorful, impressionistic plein air pastels and oils are in private and permanent collections across the country, including The Penn Stater Conference Center, Lock Haven University, and The Southern Alleghenies Museum of Art. 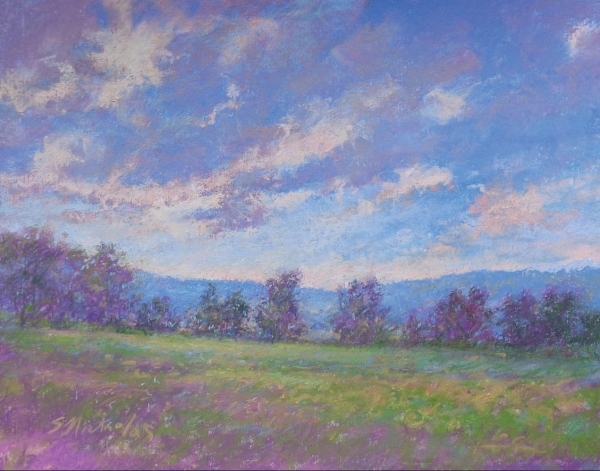 Susan is an Associate Member of the Pastel Society of America, and a Signature Member of the Central Pennsylvania Pastel Society. She also co-founded the Plein Air Painters of Central PA.
Susan spreads her love of creating art in nature to all ages through her teachings. She has been instructing pastels since the mid 80’s and organizing the Hameau Farm Studio Artist Retreats —now in its 20th year—for all levels and mediums. All of Susan’s workshops are supported by top national art supply companies, allowing her students to sample a variety of fine art products. Susan’s workshops are advertised in Pastel Journal and PleinAir Magazine, and her art is advertised in Fine Art Connoisseur. Several articles written about or by Susan have been published on OutdoorPainter.com. Susan was a presenter at the 6th and 7th Annual Plein Air Conventions in San Diego, CA, and Santa Fe, NM. Susan will return as invited faculty for the 8th Annual Plein Air Convention in San Francisco, CA. In July 2018, Susan led the first Sennelier-sponsored Brittany Skies & Seas workshop. Pierre-Yann Guidetti hosted the artist retreat at his family home in Kerrema, Brittany, France.